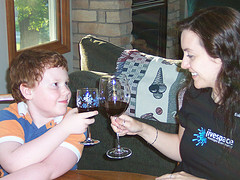 Published on July 21, 2011 in Gluten-Free, Low-Sodium and Meals in a Hurry. 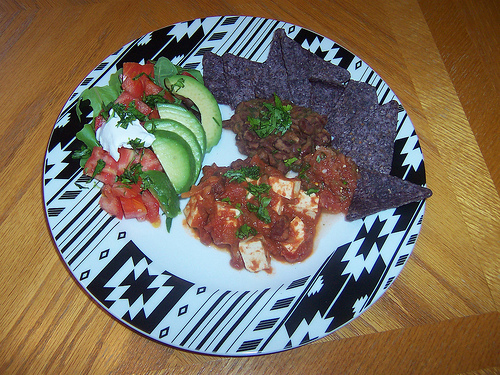 Closed Tags: mexican, tofu, tofu rancheros. This is one of those all day meals that you can serve as easily for breakfast as you can for dinner. It also gets bonus points for being quick and easy to make. Makes 4 servings. Chop the tofu into 1-inch cubes. Put the chili in a pan on the stove. Add tofu and cook for about 5 minutes or until heated through. Warm the beans and salsa in separate containers in the microwave or on the stove. On each plate, spoon the beans into a small pile on one half of the plate and top with chili and salsa. On the other side, add lettuce, tomato, sour cream and guacamole. Sprinkle the whole thing with chopped cilantro. Serve with tortilla shells or tortilla chips. Pictured with Cilantro Lime Black Beans and avocado. Buy the What Dawn Eats: Vegan food that isn’t weird cookbook for more recipes like this one. Use a can of refried beans or the Cilantro Lime Black Beans in place of the black beans. Replace the guacamole with sliced avocado. Serve over a bed of Spanish rice. 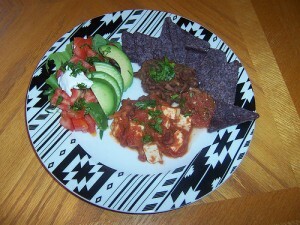 Use 1 recipe of Baked Mexican Marinated Tofu and serve separately, instead of cooking in the chili. You could make a low-sodium version with low salt chili and beans and going light on the sour cream. Can be easily made gluten-free. 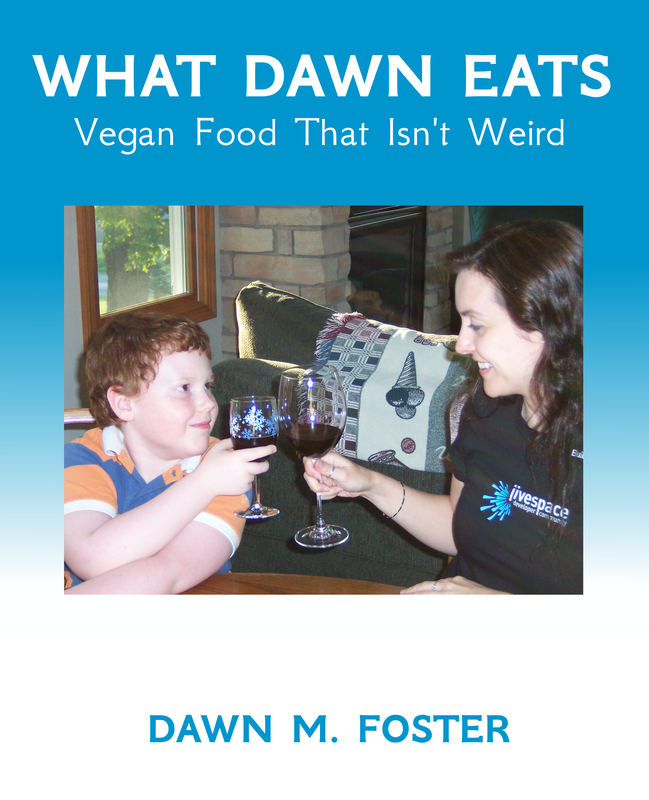 What Dawn Eats: Vegan Food That Isn’t Weird is a cookbook with some of my favorite recipes. This 140 page cookbook contains over 90 recipes and is available as a paperback or PDF download. Buy a copy today!